Six months after the Pearl Harbor attack, there were 12,000 nurses on duty in the Army Nurse Corps. Few of them had previous military experience, and the majority were unfamiliar with Army methods and protocol. In July 1943 the Army instituted a four-week training course for all newly commissioned nurses. Training stressed military organization and customs; field sanitation; and defense against air, chemical, and mechanized attack. 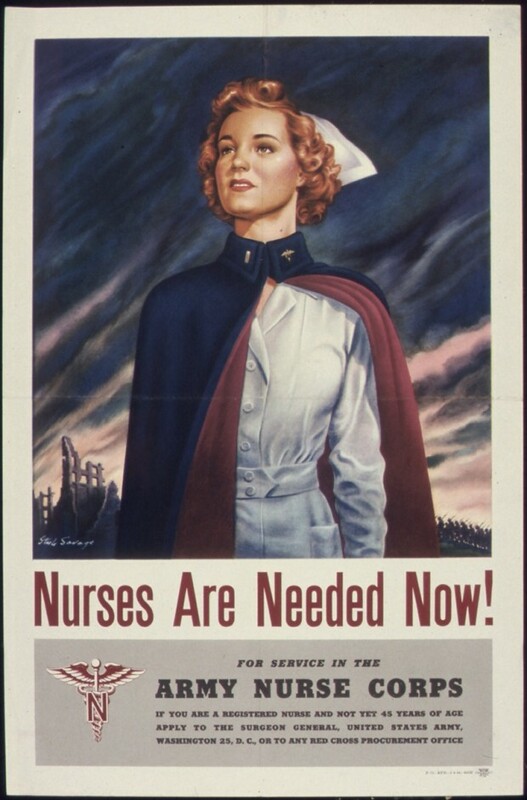 From July 1943 through September 1945, approximately 27,330 nurses graduated from fifteen Army training centers. In addition, special training programs were developed for nurse anesthetists and psychiatric nurses who were in increasing demand. via The Army Nurse Corps.